The versatile Intuos Professional Pen & Touch Medium is the most popular tablet among creative professionals. This medium sized pen tablet gives you ample space to design, sketch out ideas, paint, retouch images, and create with ease. It’s especially suited for detail-heavy work, or for use with multiple monitors. Get the most from creative software with your favorite shortcuts. The Intuos Pro Medium detects the software you’re using and offers optimal short cuts and selections. Quickly access all your shortcuts through eight customizable ExpressKeys and the Touch Ring. Stay focused with the Express View heads-up display and Radial Menu. 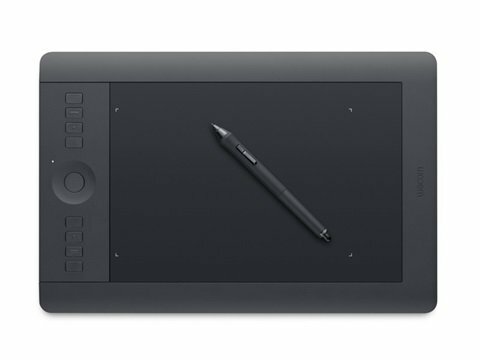 Intuos Professional Pen & Touch Medium Pro Pen delivers 2048 levels of pen pressure sensitivity and tilt recognition to let you create with the accuracy and precision of traditional brushes, pens and markers.